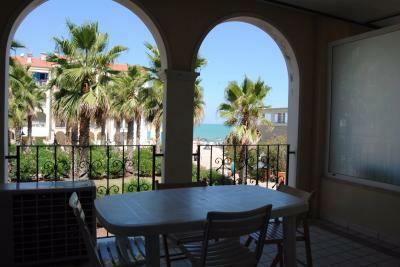 Exclusive House with private courtyard by the beach for sale in Porto Recanati. Unique location, Pettinari immobiliare real estate agency offers for sale property located by the beach of the little, vibrant, seaside town of Porto Recanati in the Conero Riviera - Marche Region, in the centre, very close to all facilities (supermarkets, bars, restaurants, train station, etc.) within walking distance. This interesting property is designed over three levels of about 45 sq.m. each, in addition there is a basement, a magnificent landscape roof terrace with views across the blue sea, the Conero Mount and the south coast and a private garden, where you can relax and enjoy your meal with family and friends and get to the beach naked foot, have a bath and let your children have fun at the beach, while your are at home. 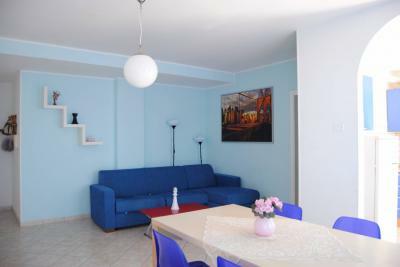 - ground floor: bright living room facing the courtyard and the beach, kitchenette and a storage. The courtyard can be used to accommodate our best friends pets, deposit bikes and especially enjoying outdoor dinners. On the first floor there are 2 double bedrooms and a bathroom with shower and window. 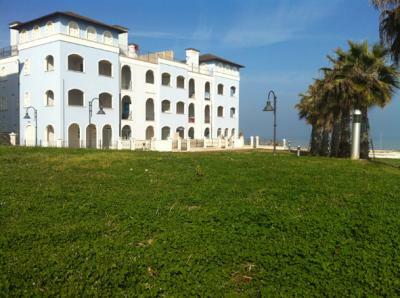 On the second floor as well, there are 2 double large bedrooms, and a bathroom with shower and window, sea view balcony. All the rooms are sea view and you can hear the sea sound from everywhere. The roof terrace of the building is an outstanding place for a romantic candlelight dinner watching the moon rise and reflected in the sea. The terrace has breathtaking, landscape view, from Conero Mount to a nice stretch of the Adriatic coast, over the horizon from sea level. The building was built before 1967, later totally renovated, especially within the habitation (flooring, equipment and fixtures).